What is 10 and Under Tennis About? I'm Ready to Play! Help me find a Team! I'm Ready to Play! (18+) Help me find a team! What happens if I win my flight? How does OC FLEX League Work? 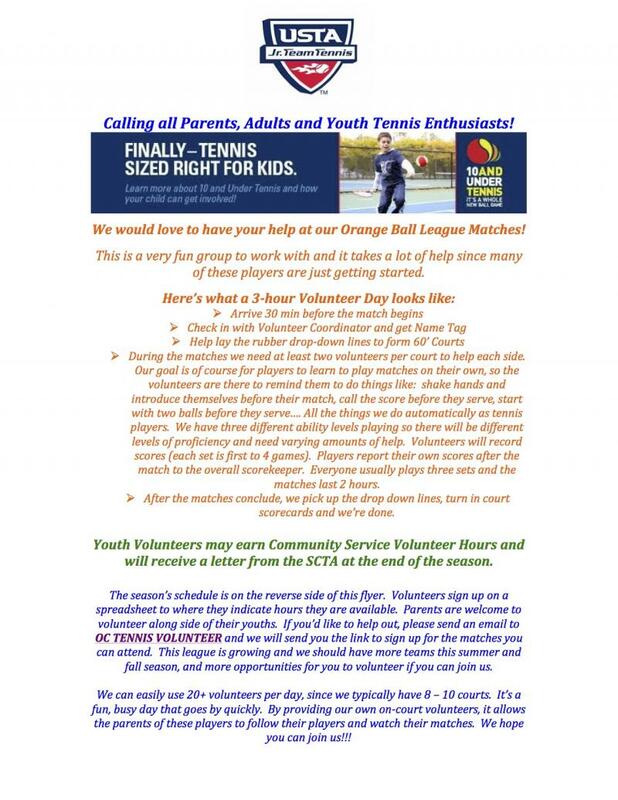 Do you have a tennis event you need volunteers for? Send an e-mail to octennisinformation@gmail.com and we may be able to post it here for you. 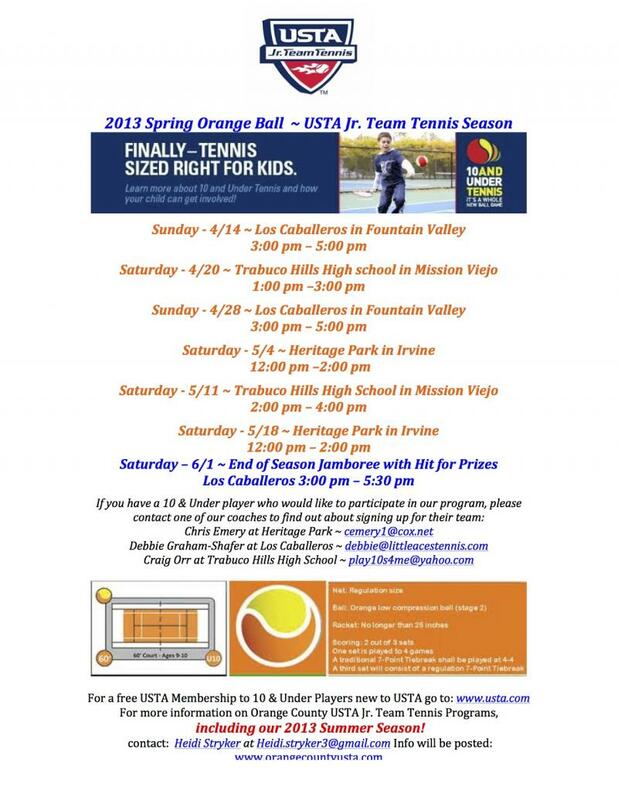 Copyright 2011 Orange County Tennis Information. All rights reserved.